Irish eyes are smiling for members of VG Tips | Check out VGTips.co.uk! The clues are often there when choosing which horses to back at competitive race meetings. At Leopardstown on Thursday my members at VG Tips were immediately in profit when backing Flawless Escape in the first race of the day. 7/1 was available when I sent my usual e-mail to members the night before racing. The Gordon Elliott trained Flawless Escape was well backed on the day and won at an SP price of only 11/4. Here’s what I told members in my preview analysis of that race. 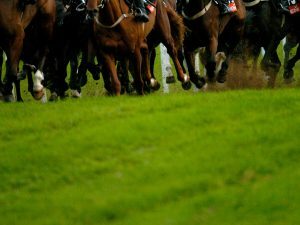 In race 2 at Leopardstown on Thursday I offered two each way tips to members in a race of 29 runners. Some bookies were returning each way bets about the first 5 horses past the post, the remainder would pay out on the first four. Glenloe and Turbojet were 9/1 and 25/1 respectively when I mailed members with my selections the night before racing. Those two were placed third and fourth respectively, so guaranteeing members yet further profit. I don’t know about you, but I’d rather make money on a 25/1 each way bet where the horse is placed, than win backing an odds on shot. In the next race the consistent winner Apple’s Jade got up to win the Grade 1 Christmas Hurdle. I alerted members to the fact that Ladbrokes were offering 6/5, and Bet365 11/10, about Apple’s Jade. I thought she’d be priced odds on. She was. But only when she won a hard fought finish with Supasundae. Here’s what I told members about those two the night before the race. Some members took my advice and placed a bet on that forecast with Apple’s Jade winning and Supasundae finishing second. Result! In the last of four races for which I offered members selections on Thursday, the Christmas Hurdle was won by Road to Respect – a horse that has won for members more than once in times past. But I opposed this day. I was far from alone. Sizing John was well beaten and it was the Michael O’Leary Gigginstown Stud operation that had the first three home. You can’t win ’em all. Sadly. But Thursday was a very good day of profit for members of VG Tips. Join via this link. Remember, the annual special offer of 12 months for £100 ends on December 31st 2017. After that it reverts to £199 for a year of racing and football analysis and betting tips.